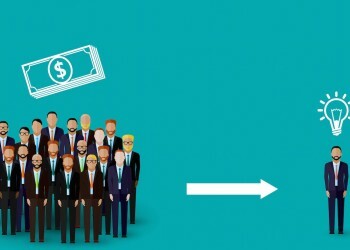 Talk to crowdfunding experts, and they’ll tell you that the concept of crowdfunding – raising funds online for a new product or project – is rapidly and profoundly changing, growing, and quickly becoming an everyday part of our lives. But while crowd funding is wildly exciting, it can be an extremely difficult enterprise to succeed at, however. To help shed light on what it takes to run a successful campaign, we interviewed Co-Founder of MSTRMND Collective and successful Kickstarter campaigner Justin Hester. S: If you were to sit down and ask crowdfunding experts, what would they say that the appeal of crowdfunding is to everyday users? H: I think there are a few reasons why crowdfunding appeals to the masses. One reason is people [who contribute] get to be part of something special – in most cases, they are helping someone create something new. There is a great satisfaction knowing that you’ve personally made a difference in someone’s life. It’s quite a rewarding feeling. Another reason is because most projects offer incredible rewards that can’t be matched after the campaign ends. Aside from offering experiences or a chance to be part of the creative input, a lot of companies offering products such as ours offer them at a special introductory rate as a reward. That creates a lot of appeal for potential backers to get involved, so they can take advantage of getting great new innovative products at a fraction of the regular retail price. This model would be unsustainable as a regular retail practice, but from our end, the goal is to raise the minimum to get started – so it works. S: What does the process of crowdfunding allow contributors to do (participate in the birth of new projects, make a personal stamp on something new and creative, etc.) that they never could before? H: That’s exactly what it does. Never before could such a large and diverse amount of people be involved with helping launch a single business, birth a new innovative product, or leave their mark during the initial launch like they can now. S: On the flip side, what’s so appealing about crowdfunding from the perspective of a project creator? H: For us, as project creators, the idea of crowdfunding is so appealing because in the past I would have never had an outlet to test a market and raise capital at the same time. We’ve now used Kickstarter to start our initial brand (with the launch of our first product), and launch a second product to add to the line. In the past, we would not have been able to reach and test a global market to see if there was enough demand to actually manufacture a particular product. It’s a great litmus test to see if the idea is viable. Beyond that, it’s a great way to create brand awareness and raise capital without giant interest rates or giving up equity within the company. S: What are some of the upsides and challenges of going through the crowdfunding process? Why would someone choose it over trying to go the traditional investment or venture capital route, even if they don’t consider themselves among the ranks of proven crowdfunding experts? H: Well, in regards to traditional investments or venture capital, with crowdfunding you don’t incur looming interest rates on the money you raise, and you’re not forced to give up equity to an unwanted partner. As for upsides, you learn a lot about your business, marketing, manufacturing, and yourself. There will be a million little obstacles you’ve got to overcome, and once you overcome those, you’ve become that much stronger and to me that’s a real upside. As for challenges,… there are many, such as the unseen obstacles just mentioned. Manufacturers don’t always keep their word, timelines may slip, and running a campaign is a full-time job unto itself. The first campaign we ran, I learned that very quickly. There are emails from backers coming in every minute, all sorts of people coming out of the woodwork trying to get a piece of your action, and you’ve got to respond to everyone promptly and politely. S: Who can be successful with crowdfunding? Do you have to be a proven expert, groundbreaking inventor, or someone with a wildly-original idea, or can anyone do this? H: Anyone can do this and be successful! We are no experts, and even though I think our products are innovative, they aren’t some groundbreaking technology. I think a good idea and some hard work is all it takes. S: What types of concepts and campaigns seem to be best suited to crowdfunding platforms – and why so? H: Honestly, I think just about anything goes. You have products like the Oculus Rift that kill it, then you’ve got the Potato Salad guy who raised somewhere north of $50k (I believe) and threw a party with potato salad. It’s pretty wide open for success across the board. S: Is crowdfunding the future of philanthropy and investment – why so/not? H: It very well could be. I think the power of the masses has spoken, and traditional outlets are becoming more obsolete. Everything is becoming more technology-driven and crowdfunding is at the forefront of the market for the common person. It’s easy access and user-friendly. S: Where would you say the crowdfunding field sits as a whole? Where has it been in past years, and where does it go from here? H: I think it only moves forward from here. Why wouldn’t it? S: What should everyone know about crowdfunding, despite what they might see in the headlines? H: It’s a lot of work! Crowdfunding isn’t some “set it and forget it” type of activity. It’s not as easy as posting an idea and walking away for a month to come back to a bunch of raised capital. A ton of work goes into creating whatever you’re making, creating the campaign, marketing your campaign, maintaining your campaign, and fulfilling rewards. It’s a daunting slew of tasks, but in the end it’s worth it! S: What advice would you give hopeful crowdfunding project creators or crowdfunding experts? H: Do your homework on how crowdfunding works. Put effort into creating a compelling campaign. Launch strong on the first day with as many backers as possible, and take into consideration that you will pay roughly 10% of the money you raise in commissions and processing fees. S: Is there anything most people don’t know about crowdfunding, but should (e.g. that it may be harder than it looks)? H: Yes, it is much harder than it looks. But your campaign can also catch fire and raise much more money than you originally anticipated. 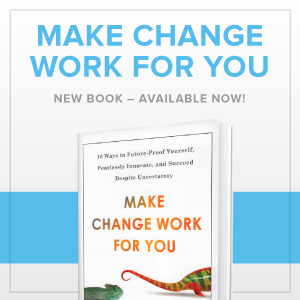 You can find in-depth information about succeeding in your next intrepid venture in Make Change for You, now available in paperback. To learn more about how to lead and succeed, or run successful crowdfunding campaigns, we also invite you to visit our website: www.AKeynoteSpeaker.com.